If you already own a GH5, is the V-Log activation code worth your money? We break down its value for the filmmaker on a budget. In 2015, Panasonic finally released the hotly anticipated V-Log picture profile. At the dismay of many, Gh4 users were not happy with the additional price point of the update. Firmware upgrades that cost the user are nothing new in the realm of camera tech. It felt like Panasonic was mimicking the likes of movie production companies releasing the “real” cut on home release, or video game companies hiding content in-game under the guise of downloadable content. I.e., this V-Log picture profile should have been included with the camera at launch, or at the very least, offered for free. However, it wasn’t, and as of today, it remains an additional £89.99 or $99.99. For production companies who use the GH5 as a b-cam or for stunt orientated shots where losing a GH5 is an expendable option, the likelihood of spending an additional $100 for V-Log is next to nothing. For the aspiring filmmaker, student, or newbie to the craft. Every cent counts and sometimes $100 can be enough to add a new accessory, sometimes a lens, to your arsenal. Ultimately, there’s only one question that matters. Is V-Log essential for your GH5? Especially if you’re a low-budget filmmaker? As a member of a 27,000 member strong GH5 group, it’s a question I see often. Panasonic has done a great marketing push because members feel like they are at a disadvantage without V-log, but at the same time are not quite sure what it does. This isn’t necessarily going to be a guide on using log (I’m sure the internet doesn’t need another one), but more an insight into Panasonic’s Log addition to the small camera market. One of the fundamentals to cover first is, well, what is log? That in itself is perhaps an entirely different write-up, and a lengthy one at that. That said, we do, at the very least, need to know what the log profile will bring to your GH5. 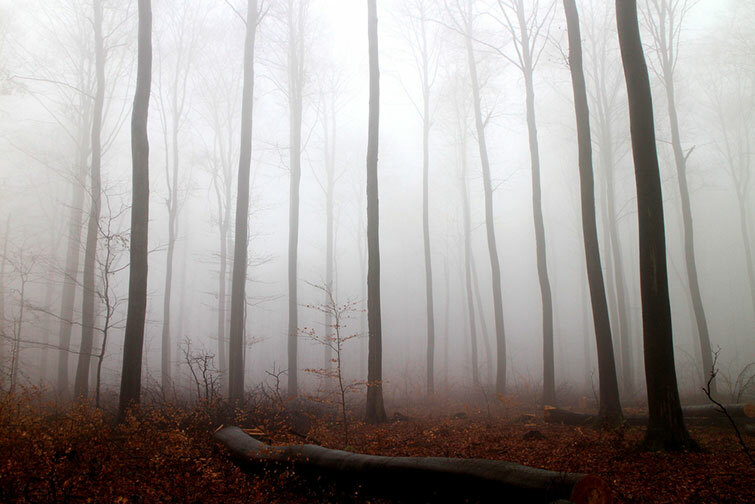 A Log image is going to have a grey color overall with limited saturation and contrast, and it will look “washed out.” What you are seeing is the camera telling you that there is a lot of “room to move” and that there is information in the camera that you just cannot see at the moment. 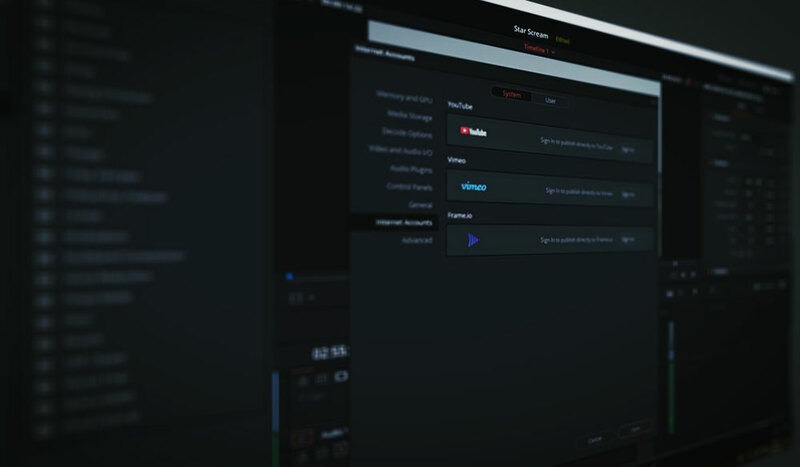 When you import the footage and take it into DaVinci Resolve or Adobe Creative Cloud, you can adjust that footage by adding contrast, color and even moving the black level, midtones and highlights to what you feel is appropriate for the look you want to achieve. Note that this quote is from Shane’s 2016 GH4 V-log test. He extensively covers the latitude of V-log on the GH4, and while the GH5 records in 10bit instead of 8bit, a lot of Shane’s findings hold up for GH5’s V-Log. Although, before proceeding, it should also be said that it seems since the age of the DSLR, aspiring cinematographer’s seek to learn everything about the science and technology of a camera. However, many Oscar-winning cinematographers have previously stated this isn’t always practical. For example, three-time winner Emmanuel Lubezki said in his interview with DPReview. I think you have to know a little bit about your equipment, at least in the way I do, in an intuitive way. You need to be able to test it, and you need to know what you can do with it. I don’t know if you necessarily need to know that the chip is connected with 27 cables into… I don’t know if that’s imperative. I wish I could learn it. I haven’t had the time and the passion to open up a camera and go through exactly how it works, but I didn’t do that on film either. To me, the results were more important. Therefore I don’t think it’s necessarily important to learn about the history of log when you just want to see if need log on your GH5. If, however, you do want to learn everything there is, this write-up from David Alder at B&H covers everything from where log came from to why it’s useful. At one point, a camera touting log was like finding out a DSLR supports RAW video. It was a game changer and something that would add cost to the price of a camera. Now it’s available for a mirrorless camera built for stills for just $100. The name of the log profile, V-log, is just Panasonic’s branding for the log curve. Most brands have their own versions, such as Sony’s S-Log or Canon’s C-Log, and so on. Despite the different preceding letter, the function from each brand remains the same with a slight variation from each. It’s worth noting that this version of V-Log is the lighter version of the original used on the Varicam 35. In fact, you’ll actually see the profile as V-LogL in the GH5’s menu system as it’s the lite version. The V-log for the Varicam boasted 14+ stops of dynamic range, whereas V-log for the Gh4/Gh5 will increase the dynamic base range from 10 to 12. Although, in Shane Hurlbut’s report he suggests that the dynamic range increases to 11-11.5, rather than 12. 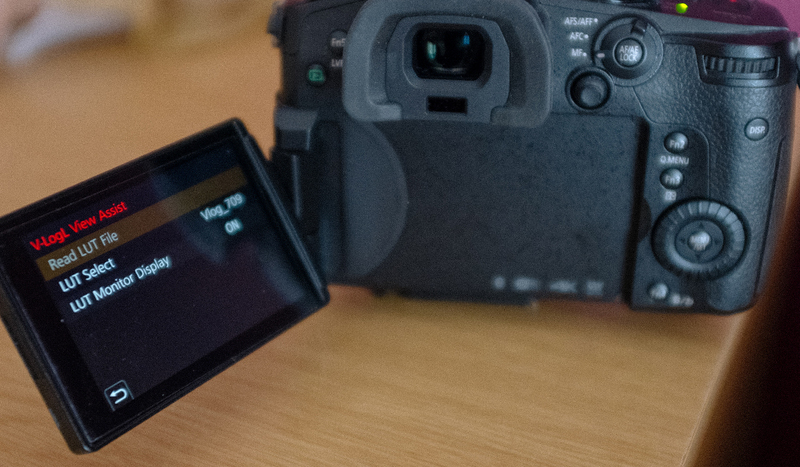 V-Log was met with mixed reactions when it was released for the GH4. This article from Sol March “Why I Said No To The V-Log On The Panasonic GH4” sums up the disappointments many users had. However, with the GH5’s 10bit, 400mbs, All-I recording, and LUT display, quarrels with Panasonic’s log profile was kind of put to rest. With the basis of Panasonic’s V-log covered, let’s have a look at the profile in action and how it can assist you. This is a still from a video captured with the V-log profile. The shot was taken within a dark interior facing out into a bright exterior. This type of composition is always challenging as on a budget, and without lighting, you have to facilitate to capture either the interior or the exterior. Rarely will a DSLR/Mirrorless camera be able to do both when recording video. As you can see, the colors are sparse; contrast is lacking. In other words, it’s flat. However, what is not initially apparent in what looks like a dull image, is that the extra two stops of the dynamic range have captured quite a few details within the shadows without the highlights in the sky clipping. You also have the extra latitude to push and pull the details in the shadows and the highlights. Latitude references how far we can push the highlights and shadows before we get unwanted artifacts and noise. This is the same shot with the Rec.709 LUT applied. While I exposed to keep the front contents of the shelf visible, we still have the details in the bright sky. This the same image, corrected, shot in Cine V with the recommended settings by Noam Kroll. The first noticeable difference is, of course, the sky. The clouds and even the blue sky have totally clipped. The top part of the towel has also become indistinguishable. In the image below, I’ve reduced the levels (which destroyed the image) to see what retained in the highlights. On the CineV profile, they’ve clipped so much that there’s little to no data available. Again, this was a composition that was exposed more for the contents on the interior shelf than the exterior, but V-Log has given me enough dynamic range to produce a filmic image. Meanwhile the CineV profile is has the contrast ratio one would expect for a mirrorless or DSLR camera. 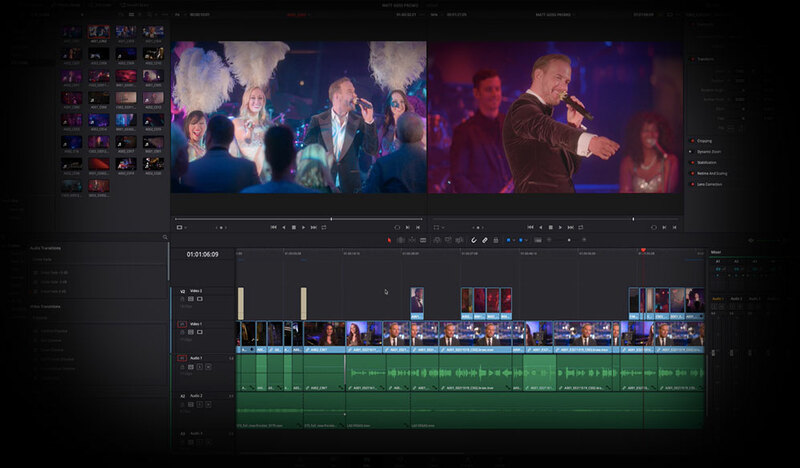 When comparing V-Log to Cine V, or any other neutral profile, you’ll often find the shadow details are a lot clearer and the highlights have been retained. We can also push the image quite far without any banding which was a persistent problem with the GH4. Although, that’s not to say you have RAW-like capabilities with V-Log. There is still a limit to how far you can push and manipulate your image as you’re still working with a compressed format. V-Log on the GH4 had numerous problems regarding skin color. GH5 fixed them, but only if you record on 10bit and not 8bit. As you can see, the skin on the 8bit V-log with a Rec.709 LUT is very blotchy and breaks apart. Whereas the 10bit is quite consistent in its appearance. Wait, Isn’t It Hard To Expose Log? You may have heard about the difficulties that come with trying correctly expose log footage. As the shadows and highlights have been neutralized, it can make monitoring your actual contrast a little tricky. 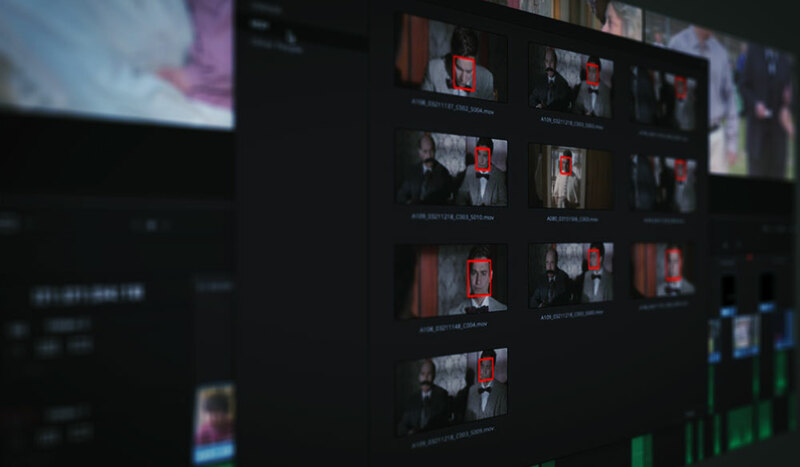 Many new users to the profile find that when they attempt to grade their footage and apply the correct lut, the shadow areas turn out to be too dark and you’ve incorrectly underexposed the image. That’s why there are so many YouTube tutorials on how to expose for log. With the GH4, this was a persistent issue, and one way to make sure you were consistently exposing correctly was to use an external monitor or EVF that had the function of displaying a Rec. 709 LUT. In the GH5, this issue is resolved. You can directly load the Rec. 709 profile from Menu>Creative Video>V-LogL View Assist>Lut Monitor Display>On. When you return to the preview monitor, you’ll be able to see the shot with the Rec. 709 LUT applied, giving you a better understanding of where the exposure values properly sit. You may have also noticed that there were options choose which LUT to apply. Rec. 709 is the only LUT in-camera, but Luke Neumann of Neumann Films has a short 3-minute tutorial in which he explains how to add custom LUTs to your GH5. Admittedly, buying the V-log code isn’t as fluid as one would want the process to be. In fact, when V-Log was first released for the GH4 I was unable to purchase the V-log update as Panasonic sends the code via snail mail. At the time, it was for US citizens only, and I’m overseas. Thankfully, you can now buy the upgrade from most countries, although that that still doesn’t seem to be worldwide. Unfortunately, Panasonic is still using snail mail instead of a direct download of a unique code. Therefore, please take into account that there can be up to several business days for the activation code to arrive. The code arrives in a snazzy black matte envelope akin to that of a royal invitation, but the process of activating V-Log is anything but regal. With a formatted and clean memory card, head into the settings, and select the wrench (spanner) icon. Activate and hit Export Serial Code, and press Yes to start processing. The process will then export a SERIAL.LST file onto your memory card. Do not touch this. Insert your memory card into your PC, and head to the activation site. From there, select the SERIAL.LST file and hit upload. On the next page, you now have to enter the serial code found in your V-Log envelope, and hit register. With the V-log code registered, you hit Save to SD Card which will export the activation file. Remove the SD card and place it back in the camera. You then need to follow the same steps as step 1; head into the settings, select the wrench (spanner) icon, and activate. But, this time you choose import activation code instead of the export serial number. Turn your GH5 off, and upon restart, you’ll find V-Log in the picture profile settings. It is also important to note that the V-log activation works for only one camera. If you have multiple GH5s and require each camera to use the V-log profile, you will, unfortunately, need to buy an equal amount of V-log activation codes. Likewise, you’re unable to transfer the activation to another camera. It’s a one-use code. I think it’s easy to assume that without V-log, you’re at a disadvantage; that your Gh4/5/5s is incomplete. That is not true. These cameras capture beautiful images regardless of whether you have V-log or not. Look at V-log as a tool that allows you to further push the images your camera captures. However, the benefits of V-log cannot be downplayed. Those extra two stops of dynamic range edge this small camera closer to capturing film-like images. The short of it? If you’re a budget filmmaker with a new GH5 and you are edging towards the end of funding pool, skip V-log. CineV will serve you well. But, if you have the extra $89 it’s well worth your money.